Yesterday I finished the baby blanket I’ve been working on. One year later, it is a present for a friend’s baby. I was planning to make one BEFORE she was born. Plan never became reality. I did start a blanket, but I was struck by a rare gauge disease – my squares were getting smaller and smaller. I’ve blogged about the symptoms of this malady here. But truth be told, I think the knitting gods must have been watching over me, as the idea I’ve chosen later fits so much better! And I have to say, the blanket worked up much faster and (almost) without incidents. It really looks striking, if I say so myself, and the pattern is super easy to memorize. I’m very pleased by how it turned out, and really hope that it will be used a lot! 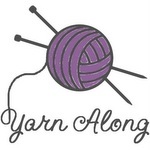 Yarn is a very baby-friendly cotton, machine-washable, and should survive quite some tear.